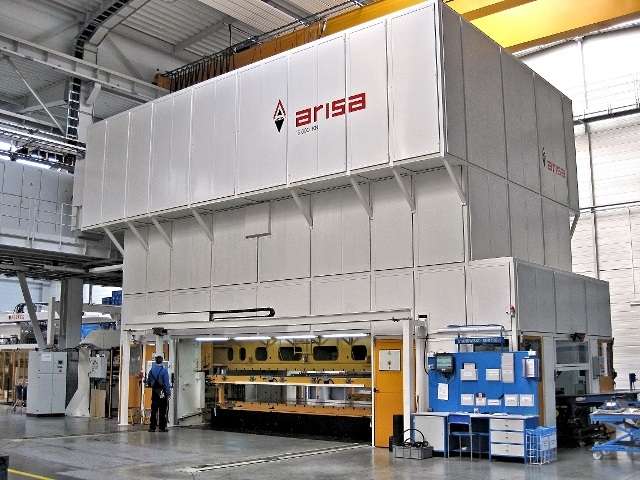 With more than 70 years’ experience, ARISA is dedicated to designing and manufacturing mechanical presses and servo presses from 160t to 3000t, and also their accessories, following our customers‘ specifications. We keep developing and supplying better solutions for the sheet metal forming. Arisa realizes and keeps improving the products with our own technologies. There are Arisa after-sales and service centers in Spain, Germany, Brazil, China and Mexico for our customers in any parts of the world. In this exhibition we present our last developed technologies, among which there are servo press, destacker, high dynamic transfer which permit to obtain the better substantial productivity.